What has been undeniably useful and relevant since the 70's and 80's are Orwak trash compactors and balers. Despite minimal changes to the design and structure of the Orwak 5030 model, in particular, this small footprint bagging trash compactor continues to be one of Orwak's most popular sellers. 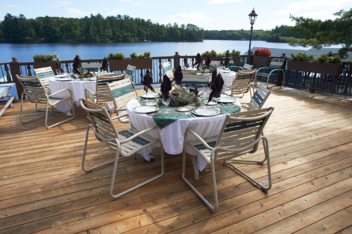 From restaurants and hotels to elementary schools, the Orwak 5030 has been sold to thousands of Orwak businesses and organizations since the 1970s. Most with a pretty long life - 10-15 years at least. That's good ROI. 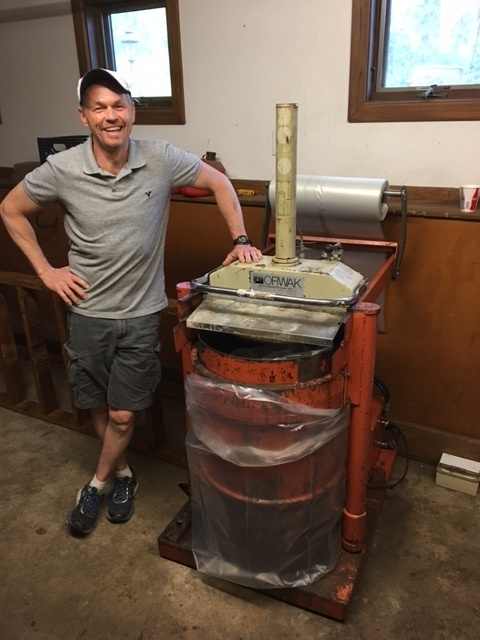 So when Jon Lindberg, Caretaker for the Minnesuing Acres Executive Retreat and Conference Center based in Lake Nebagamon, Wisconsin contacted Orwak a couple of weeks ago to get a part for their 29 year old Orwak 5030, we couldn’t believe it. Installed in 1988? Continuously running? Could this Orwak 5030 at Minnesuing Acres be one of the oldest continuously running Orwak 5030 machines in North America? Yes. Yes, it could. We checked. Back in 1988 (almost 30 years ago), Minnesuing Acres was faced with a dilemma. The local dump was closing. Most of what they brought to the dump on a daily basis was composed of food waste, which made transporting the trash inconvenient and messy. Now that the dump was closing, they no longer had to transport it themselves, but they were going to have to use a costly waste hauler to do it. To reduce the number of trash pick-ups required by the local waste hauler, they were advised by their managing company, Carlson Hotel Management, to separate out recyclables and compact the remaining trash using a bagging compactor. Carlson managed several hotels that were using small footprint trash compactors to reduce the volume of trash that went into dumpsters. By reducing trash volume, they could reduce pick-ups which meant lower waste removal costs. Orwak North America, a pioneer in trash compactors and cardboard/plastic balers was one of the few manufacturers in the US in the 80's. As a result Orwak presented their best selling trash compactor, the Orwak 5030, to the team at Minnesuing Acres and the rest is history as they say. Three Decades of Continuous Use and Still Going! Although Minnesuing Acres is no longer part of Carlson Hotel Management, Minnesuing sure is happy that they took their advice and looked into the Orwak 5030 trash compactor. Over the past 29 years, they have used the Orwak 5030 on a continuous basis with zero safety issues and only minor maintenance and part replacements. Our engineers in Sweden say thanks! When Orwak North America first connected with Steve Grossman, Franchise Owner for 12 Burger King locations, he was struggling with the costs and logistics of dealing with trash. Each restaurant was paying between $750 and $1000 per month for three or four pickups each week. Steve Grossman wanted to find ways to decrease its haulage costs and simplify trash handling for employees, while at the same time reducing their environmental impact. He found the answer in the Orwak 5030 trash compactor, a small-footprint trash compactor that takes up less than 9 square feet of floor space inside each restaurant kitchen or utility area. Learn more.